Step 1: Stir together the paprika, chili powder, garlic powder, onion powder, thyme, oregano, chile de arbol, and cayenne pepper in a small bowl. Step 2: Place the egg yolks and lemon juice in a medium stainless steel bowl, set over a pot of simmering water not touching the bottom of the bowl. Whisk the yolks until pale yellow and fluffy. Slowly add the clarified melted butter, a few tablespoons at a time and whisk until thickened. Season the sauce with 2 teaspoons of the spice mixture, salt, and pepper, and a dash Worcestershire sauce. Keep warm until ready to use. 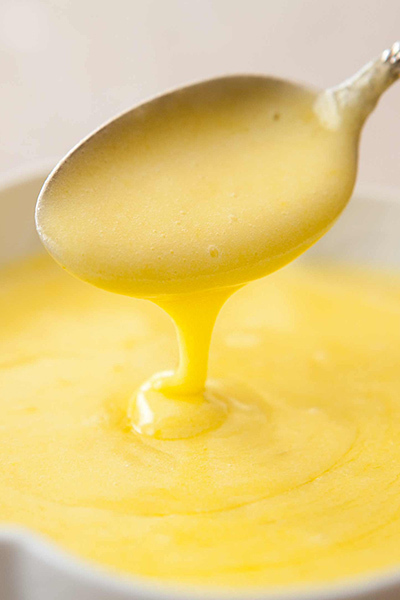 Enjoy this spicy hollandaise from FoodNetwork!